To search this page, use your browser 's Find function (under Edit menu). 43-02.2-01 Purpose. It is the policy of this state, and the purpose of this chapter, to promote the reliability of information that is used for guidance in financial transactions or for accounting for or assessing the financial status or performance of commercial, noncommercial, and governmental enterprises. Public interest requires that persons professing special competence in accountancy or offering assurance as to the reliability or fairness of presentation of such information have demonstrated or maintained their qualifications to do so, and that persons who have not demonstrated and maintained such qualifications, including certificate holders not in public practice, not be permitted to hold themselves out as having such special competence or to offer such assurance. Public interest requires that the conduct of persons licensed as having special competence in accountancy be regulated in all aspects of their professional work. Public interest requires that a public authority competent to prescribe and assess the qualifications and to regulate the conduct of practitioners of public accountancy and certificate holders not in public practice be established and that the use of titles which are likely to mislead the public as to the status or competence of the persons using such titles be prohibited. 1. "Board" means the state board of accountancy. 2. "Certificate" means a certificate as "certified public accountant" issued under section 43-02.2-04 or provisions of prior law, or a corresponding certificate as certified public accountant issued after examination under the law of any other state. 3. "Client" means a person or entity that agrees with a licensee to receive any professional service other than an employer-employee relationship. 4. "Firm" means a sole proprietorship, a corporation, a partnership, or any combination thereof, or any other entity permitted by law. 5. "Licensee" means the holder of a certificate, license, or permit issued under this chapter or prior law. 6. "Permit" means a permit to practice public accountancy issued under section 43-02.2-06 or 43-02.2-07, prior law, or corresponding provisions of the laws of other states. 7. "Practice of" or "practicing" public accountancy means the performance or the offering to perform by a person or firm holding out to the public as a licensee, for a client or potential client, services involving the use of accounting or auditing skills including the issuance of reports on financial statements, but not including management advisory, financial advisory, or consulting services, bookkeeping services, or the preparation of tax returns or the furnishing of advice on tax matters unless provided by a firm with a permit issued under section 43-02.2-06 or 43-02.2-07. 8. "Practice review" means a study, appraisal, or review of one or more aspects of the professional work of a firm in the practice of public accountancy, by a person or persons who hold certificates and are in the practice of public accounting and who are not affiliated with the person or firm being reviewed. 9. "Professional" means arising out of or related to the specialized knowledge or skills associated with certified public accountants or licensed public accountants. 10. "Report", when used with reference to financial statements, means an opinion, report, or other form of language that states or implies assurance as to the reliability of any financial statements and that also includes or is accompanied by any statement or implication that the person or firm issuing it has special knowledge or competence in accounting or auditing. A statement or implication of special knowledge or competence may arise from use by the issuer of the report of names or titles indicating that the issuer is an accountant, auditor, or is in the business of accounting, or from the language of the report. "Report" includes any form of language that disclaims an opinion when the form of language is conventionally understood to imply any positive assurance as to the reliability of the financial statements referred to or special competence on the part of the person or firm issuing such language. "Report" includes any other form of language that is conventionally understood to imply such assurance or such special knowledge or competence. 11. "Rule" means any rule, regulation, or other written directive of general application duly adopted by the board. 12. "State" means any state of the United States, the District of Columbia, the Commonwealth of Puerto Rico, the United States Virgin Islands, and Guam. 13. "Substantial equivalency" is a determination by the board or its designee that another jurisdiction's education, examination, and experience requirements are comparable to or exceed that of the uniform accountancy act, or that an individual's education, examination, and experience qualifications are comparable to or exceed that of the uniform accountancy act. 43-02.2-03. State board of accountancy. 1. The state board of accountancy consists of five members appointed by the governor. Four members of the board must be residents of this state who hold certified public accountant certificates issued under the laws of this state and one member of the board must be a resident of this state who is a licensed public accountant under the laws of this state. When the number of licensed public accountants in this state drops below twenty-five, the licensed public accountant member requirement ceases to apply, except that the licensed public accountant then serving on the board may complete that term of office and thereafter the board shall consist of five certified public accountants. The terms of office must be arranged so that only one term expires each year on June thirtieth. Successor board member appointments are for terms of five years. Each member of the board shall qualify by taking the oath of office required of civil officers and shall hold office until a successor is appointed and qualified. 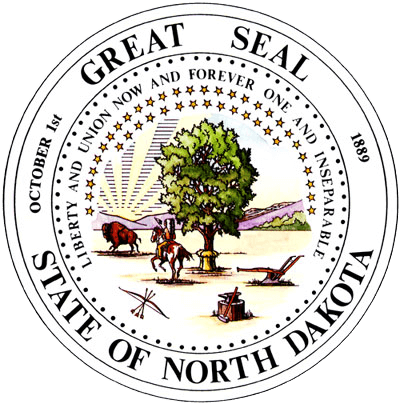 A vacancy on the board must be filled by appointment by the governor from a list of at least three nominees submitted by the appropriate nominating committee. Any member of the board whose certificate is revoked or suspended automatically ceases to be a member of the board. The governor may remove any member of the board for neglect of duty or other just cause, after a hearing. No person who has served two complete terms is eligible for reappointment, but appointment to fill an unexpired term may not be considered a complete term for this purpose. 2. At its first meeting after June thirtieth in each year, the board shall organize by electing one of its members as president, one as secretary, and one as treasurer. The offices of secretary and treasurer may be held by one person. A majority of the board constitutes a quorum. 3. A member of the board is entitled to compensation in an amount to be fixed by the board for each day or portion of a day spent in the discharge of duties, mileage as provided under section 54-06-09, and reimbursement for actual and necessary expenses incurred in the discharge of official duties. 4. All expenses incident to examinations under this chapter, expenses of preparing and issuing certificates and permits, travel expenses and other allowable expenses of the members of the board, and stationery, printing, clerk hiring, and other office expenses must be paid by the board from the fees collected by it, and no expense incurred under this chapter may be a charge against the funds of this state. Funds administered by the board may not revert to the state general fund. a. To administer oaths to all applicants or persons appearing before it in respect to investigations, examinations, or the issuance of certified public accountant certificates. b. To conduct investigations and examinations and issue certificates to properly qualified applicants and permits to properly qualified firms. c.	To determine the qualifications of all applicants. d.	To employ and establish the salary of an executive director and such other personnel as it deems necessary in administration and enforcement of this chapter. The board may appoint committees or persons, including counsel, to advise or assist the board. e.	To take all action that is necessary and proper to effectuate the purposes of this chapter, including the power to sue and be sued in its official name as an agency of this state, to issue subpoenas to compel the attendance of witnesses and the production of documents, to administer oaths, to take testimony, to cooperate with appropriate authorities in other states in investigations and enforcement concerning violations of this chapter and comparable laws of other states, and to receive evidence concerning all matters within its jurisdiction. In case of disobedience of a subpoena, the board may invoke the aid of any court in requiring the attendance and testimony of witnesses and the production of documentary evidence. The board, its members, and its agents are immune from personal liability for actions taken in good faith in the discharge of the board's responsibilities. (9.) Other rules the board deems necessary or appropriate for implementing this chapter. 1. The board shall grant the certificate of "certified public accountant" to any person of good moral character who meets the requirements of this section. 2. For the purposes of this chapter, good moral character means the lack of a history of dishonest or felonious acts. The board may refuse to grant a certificate on the grounds of failure to satisfy this requirement only if there is a substantial connection between the lack of good moral character of the applicant and the professional responsibilities of a licensee and if the finding by the board of lack of good moral character is supported by clear and convincing evidence. When an applicant is found to be unqualified for a certificate because of a lack of good moral character, the board shall furnish the applicant a statement containing the findings of the board, a complete record of the evidence upon which the determination was based, and a notice of the applicant's right of appeal. e.	Has paid the applicable fees. 5. The education requirement for a certificate is as follows: a. Through December 31, 1999, a baccalaureate degree or its equivalent conferred by a college or university acceptable to the board, and an accounting concentration or equivalent as determined by board rule to be appropriate, or four years of public accounting experience on one's own account or in the office of a public accountant in active practice, or in an accounting or auditing position with the government of the United States or a state. b. After December 31, 1999, at least one hundred fifty semester hours of college education including a baccalaureate or higher degree or their equivalent conferred by a college or university acceptable to the board, the total educational program to include an accounting concentration or equivalent as determined by board rule to be appropriate. An individual who on December 31, 1999, meets the requirements of subdivision a may obtain a certificate under subdivision a if the individual passes the examination in accordance with board rules before December 31, 2004. 6. The examination required to be passed as a condition for the granting of a certificate must test the applicant's knowledge of the subjects of accounting and auditing. A grade of seventy-five percent is required in each subject to constitute a passing grade. The time for holding the examination must be fixed by the board and may be changed from time to time. The board may prescribe by rule the methods of applying for and conducting the examination, including methods for grading papers and determining a passing grade required of an applicant for a certificate provided that the board to the extent possible sees to it that the grading of the examination and the passing grade requirements are uniform with those applicable in all other states. The board may use all or any part of the uniform certified public accountant examination and advisory grading service of the American institute of certified public accountants and may contract with third parties to perform administrative services with respect to the examination it deems appropriate to assist it in performing its duties. The board may permit a candidate to take the examination if the board is satisfied that the candidate will complete the educational requirements of this section within six months after the candidate's application to take the examination. 7. An applicant must pass the examination provided for in subsection 6, as specified by rule, in order to qualify for a certificate. 8. An applicant must be given credit for any and all sections of an examination passed in another state if such credit would have been given under then applicable requirements, if the applicant had taken the examination in this state. 9. The board may in particular cases waive or defer any of the requirements of subsections 7 and 8 regarding the circumstances under which the examination must be passed, upon a showing that, by reason of circumstances beyond the applicant's control, the applicant was unable to meet the requirement. 10. The board may charge, or provide for a third party administering the examination to charge, each applicant a fee, in an amount prescribed by the board by rule, for examination or reexamination. 11. A certificate of certified public accountant must be renewed each year, with renewal subject to payment of fees and any other requirements prescribed by the board. 12. The board may require examination of other related subjects as specified by rule. 13. Applicants for initial issuance or renewal of certificates under this section shall list in the applications all states and jurisdictions in which they have applied for or hold certificates or permits or other recognized accounting designation, and each holder of or applicant for a certificate under this section shall notify the board in writing, within thirty days after its occurrence, of any issuance, denial, revocation, or suspension of a certificate or permit or other recognized accounting designation by another state or jurisdiction. 14. After December 31, 2000, an applicant for initial issuance of a certificate under this section shall show that the applicant has had one year of experience. This experience must include providing any type of service or advice involving the use of accounting, attest, management advisory, financial advisory, tax, or consulting skills. This experience must be verified and must meet any other requirements prescribed by the board by rule. This experience is acceptable if it was gained through employment in government, industry, academia, or public accounting. This experience requirement does not apply to those who received a certificate from this state prior to January 1, 2000. 15. The board may require by rule, as a condition for granting and renewal of certificates under this section, that applicants show completion of continuing education meeting requirements of board rule. The continuing education rules may include provisions for exceptions and must include reasonable provision for an applicant who cannot meet the continuing education requirements due to circumstances beyond the applicant's reasonable control. 16. As an alternative to the requirements of subsection 3, the board shall issue a certificate to an individual who holds a certificate from another state, who establishes the individual's principal place of business within this state and has submitted the applicable application and fees, provided that the individual or the other state has attained substantial equivalency. c.	To the appointment of the state board which issued the person's certificate as the person's agent upon whom process may be served in any action or proceeding by this board against the licensee. 2. A licensee of this state offering or rendering services or using the licensee's CPA title in another state is subject to disciplinary action in this state for an act committed in another state for which the licensee would be subject to discipline in the other state. The board shall investigate any complaint made by the board of accountancy of another state. 43-02.2-05. Permits to practice - Individual. Repealed by S.L. 1999, ch. 372, § 15. 43-02.2-06. Permits to practice - Firms. 1. A firm must hold a firm permit issued by the board, in order to practice public accounting or to use the titles "CPAs", "LPAs", "CPA firm", "LPA firm", or similar titles. The board shall grant or renew permits to practice public accountancy to firms that make application and demonstrate their qualifications in accordance with this section. 2. Permits must be issued and renewed on an annual basis. Applications for permits must be made in the form the board specifies. The board shall grant or deny any application no later than ninety days after the application is filed in proper form. If the applicant seeks the opportunity to show that issuance or renewal of a permit was mistakenly denied or if the board is not able to determine whether it should be granted or denied, the board may issue to the applicant a provisional permit, which expires ninety days after its issuance or when the board determines whether or not to issue or renew the permit for which application was made, whichever occurs first. 3. An applicant for initial issuance or renewal of a permit to practice under this section must show that notwithstanding any other provision of law, a simple majority of the ownership of the firm, in terms of financial interests and voting rights, belongs to licensees of a state or other recognized jurisdiction and that all certified public accountants or licensed public accountants associated with the firm whose principal place of business is in this state and who perform professional services in this state hold a valid certificate or license issued by this state. The firm and its owners must comply with all board rules regarding ownership. 4. An applicant for initial issuance or renewal of a permit to practice under this section is required to register each office of the firm within this state with the board. 5. The board shall charge a fee for each application for initial issuance or renewal of a permit under this section in an amount prescribed by the board by rule. 6. Applicants for initial issuance or renewal of permits under this section shall in their applications list all states and jurisdictions in which they have applied for or hold permits to practice public accountancy or similar authorizations, and each holder of or applicant for a permit under this section shall notify the board in writing, within thirty days after its occurrence, of any change in the identities of partners, officers, or shareholders who work regularly within this state, any change in the number or location of offices within this state, any change in the identity of the persons in charge of such offices, and any issuance, denial, revocation, or suspension of a permit by any other state or jurisdiction. 7. The board may require by rule, on either a uniform or a random basis, as a condition to renewal of permits under this section, that applicants undergo practice reviews conducted no more frequently than once every three years in such manner and producing such satisfactory result as the board specifies; provided that any such requirement must be adopted reasonably in advance of the time when it is first required to be met and must include reasonable provision for compliance by an applicant's showing that it has undergone a satisfactory review performed for other purposes which was substantially equivalent to practice reviews generally required under this subsection and completion of such review was within the three years immediately preceding the renewal period. 43-02.2-07. Licensed public accountants and firms of public accountants. Persons who on the effective date of this chapter hold licensed public accountant licenses issued under prior law of this state are entitled to have those licenses renewed provided that they fulfill all requirements for renewal under this section and subsections 13 and 15 of section 43-02.2-04. Firm licensees that hold valid permits to practice are entitled to engage in the practice of public accountancy to the same extent and with the same requirements as other holders of such permits and are entitled to use the designations "licensed public accountant" and "LPA", but no other designation, in connection with the practice of public accountancy. Licensed public accountant licenses and firm permits must be renewed annually, with renewal subject to payment of fees and any other requirements prescribed by the board. 43-02.2-08. Appointment of secretary of state as agent. Application by a person or a firm not a resident of this state for a certificate under section 43-02.2-04 or a permit to practice under section 43-02.2-06 constitutes appointment of the secretary of state as the applicant's agent upon whom process may be served in any action or proceeding against the applicant arising out of any transaction or operation connected with or incidental to services performed within this state by the applicant. k.	Making any false or misleading statement or verification, in support of an application for a certificate, license, or permit filed by another. a. A practice review conducted as the board specifies. b. Satisfactory completion of continuing education programs the board specifies. 3. In any proceeding in which a remedy provided by subsection 1 or 2 is imposed, the board may require the respondent licensee to pay the costs of the proceeding. 43-02.2-10. Enforcement procedures - Investigations. If this chapter authorizes the board to revoke, deny, or suspend the certificate, license, or permit of any licensee, the licensee has a right to a hearing before the board on such contemplated disciplinary action and has a right to appeal to the courts from the decision of the board on the hearing. All of the provisions of chapter 28-32 relating to proceedings before an administrative agency are applicable to and govern the notice of hearing, the hearing, and the right of appeal from the board's decision. During the investigation of any complaint or other information suggesting violations of this chapter, the report of the investigating officer, the complaint, if any, the testimony and documents submitted in support of the complaint or gathered in the investigation, and the fact of the pending investigation must be treated as confidential information and may not be disclosed to any person except law enforcement authorities and, to the extent deemed necessary in order to conduct the investigation, the subject of the investigation, persons whose complaints are being investigated, and witnesses questioned in the course of the investigation. 1. If the board has suspended, refused to renew, or revoked a certificate, license, or a permit, the board may modify the suspension or reissue the certificate, license, or permit upon application in writing by the person or firm affected and for good cause shown and payment of a fee established by the board. 2. The board shall specify by rule the manner in which applications for reinstatement must be made, the times within which they must be made, and the circumstances in which hearings on applications will be held. 3. Before reissuing or terminating the suspension of a certificate, license, or permit under this section, the board may require the applicant to show successful completion of specified continuing education and may make the reinstatement conditional and subject to specified conditions, including satisfactory completion of a practice review conducted as specified by the board. 1. A person or firm that is not a licensee may not practice or offer to practice public accountancy or issue a report on financial statements of any other person, firm, organization, or governmental unit. Individual licensees may not practice public accountancy unless they do so within a firm that holds a permit issued under this chapter. These prohibitions do not apply to an officer, partner, or employee of any firm or organization affixing the person's name or signature to any statement or report in reference to the financial affairs of such firm or organization with any wording designating the position, title, or office that the signer holds therein, does not prohibit any act of a public official or employee in the performance of duties as such, and does not prohibit the performance by any persons of other services involving the use of accounting skills, including the preparation of tax returns, management advisory services, and the preparation of financial statements without the issuance of reports thereon. This prohibition does not apply to transactions between manufacturing and sales organizations and their customers when accounting services accompany the sale of products provided that such accounting services are incidental and that any financial report made is clearly titled "unaudited financial report". 2. A person not holding a valid certificate issued under this chapter may not use or assume the title or designation "certified public accountant", or the abbreviation "CPA" or any other title, designation, words, letters, abbreviation, sign, card, or device tending to indicate that the person is a certified public accountant. 3. A firm may not practice public accountancy or assume or use the title or designation "certified public accountant", or the abbreviation "CPA", or any other title, designation, words, letters, abbreviation, sign, card, or device tending to indicate that the firm is a certified public accountant firm, unless the firm holds a valid permit issued under this chapter. 4. A person may not assume or use the title or designation "licensed public accountant" or the abbreviation "LPA", or any other title, designation, words, letters, abbreviation, sign, card, or device tending to indicate that the person is a licensed public accountant unless the person is registered as provided in section 43-02.2-07. 5. A firm may not practice public accountancy, or assume or use the title or designation "licensed public accountant", the abbreviation "LPA", or any other title, designation, words, letters, abbreviation, sign, card, or device tending to indicate that the firm is a licensed public accountant firm, unless the firm holds a valid permit issued under this chapter. 6. A person or firm not holding a valid certificate, license, or permit issued under this chapter may not assume or use the title or designation "certified accountant", "chartered accountant", "enrolled accountant", "licensed accountant", "public accountant", "registered accountant", "accredited accountant", or any other title or designation likely to be confused with the titles "certified public accountant" or "licensed public accountant", or use any of the abbreviations "CA", "LA", "PA", "RA", "AA", or similar abbreviation likely to be confused with the abbreviations "CPA" or "LPA". 7. A person or firm not holding a valid certificate, license, or permit issued under this chapter may not assume or use any title or designation that includes the words "accountant", "auditor", or "accounting", or other terms in any manner that implies such person or firm holds such a certificate, license, or permit or has special competence as an accountant or auditor. This subsection does not prohibit any officer, partner, or employee of any firm or organization from affixing the person's name or signature to any reference to the financial affairs of such firm or organization with any wording designating the position, title, or office that the person holds and does not prohibit any act of a public official or employee in the performance of duties. 8. A licensee may not use a professional or firm name or designation that is misleading. Names of one or more former partners or shareholders may be included in the name of a firm or its successor. 9. This section does not apply to a person or firm holding a certification, designation, degree, or license granted in a foreign country entitling the holder to engage in the practice of public accountancy or its equivalent in that country, whose activities in this state are limited to the provision of professional services to persons or firms who are residents of, governments of, or business entities of the country in which the person or firm holds such entitlement. This subsection does not authorize issuing reports with respect to the financial statements of any other persons, firms, or governmental units in this state. A person or firm acting under the authority of this subsection may not use in this state any title or designation other than the one under which the person or firm practices in such country, followed by a translation of such title or designation into the English language, if it is in a different language, and by the name of such country. 43-02.2-13. Injunctions against unlawful acts. If as a result of an investigation, the board believes that any person or firm has engaged, or is about to engage, in any acts or practices which constitute or will constitute a violation of this chapter, the board may make application to the appropriate court for an order enjoining such acts or practices, and upon a showing by the board that such person or firm has engaged, or is about to engage, in any such acts or practices, an injunction, restraining order, or other appropriate order must be granted by the court. 1. If by reason of an investigation, the board has reason to believe that any person or firm has knowingly engaged in acts or practices that constitute a violation of this chapter, the board may bring its information to the attention of a state's attorney or the attorney general or other appropriate law enforcement officer who may cause appropriate criminal proceedings to be brought. 2. Any person or firm who knowingly violates any provision of section 43-02.2-12 is guilty of a class A misdemeanor. 43-02.2-15. Single act evidence of practice. In any action brought under this chapter, evidence of the commission of a single act prohibited by this chapter is sufficient to justify a penalty, injunction, restraining order, or conviction, without evidence of a general course of conduct. 43-02.2-16. Confidential communications. Except by permission of the client engaging a licensee under this chapter, or the heirs, successors, or personal representatives of such client, a licensee or any partner, officer, shareholder, or employee of a licensee may not voluntarily disclose information communicated to the licensee by the client relating to and in connection with services rendered to the client by the licensee. Such information is deemed confidential but this section may not be construed as prohibiting the disclosure of information required to be disclosed by the standards of the profession in reporting on the examination of financial statements or as prohibiting disclosures in court proceedings, in investigations or proceedings under section 43-02.2-09 or 43-02.2-10, in ethical investigations conducted by private professional organizations, or in the course of practice reviews, or to other persons active in the organization performing services for that client on a need-to-know basis or to persons in the entity who need this information for the sole purpose of assuring quality control. 43-02.2-17. Licensees' working papers - Clients' records. 1. All statements, records, schedules, working papers, and memoranda made by a licensee or a partner, shareholder, officer, director, or employee of a licensee, incident to, or in the course of, rendering services to a client while a licensee, except the reports submitted by the licensee to the client and except for records that are part of the client's records, are the property of the licensee in the absence of an express agreement between the licensee and the client to the contrary. A statement, record, schedule, working paper, or memorandum may not be sold, transferred, or bequeathed, without the consent of the client or the client's personal representative or assignee, to anyone other than one or more surviving partners or stockholders or new partners or stockholders of the licensee, or any combined or merged firm or successor in interest to the licensee. This section may not be construed as prohibiting any temporary transfer of workpapers or other material necessary in the course of carrying out practice reviews. b. Any accounting or other records belonging to, or obtained from or on behalf of, the client that the licensee removed from the client's premises or received for the client's account. The licensee may make and retain copies of such documents of the client when they form the basis for work done by the licensee. 3. This section does not require a licensee to keep any workpaper beyond the period prescribed in any other applicable statute. 43-02.2-18. Uniform statute of limitations. 1.	a. This section applies to all causes of action of the type specified in this section filed on or after the effective date of this Act. b. This section governs any action based on negligence or breach of contract brought against any accountant, any partnership of accountants, any accounting corporation, or any other legal entity of accountants registered, licensed, or practicing in this state by any person or entity claiming to have been injured as a result of financial statements or other information examined, compiled, reviewed, certified, audited, or otherwise reported or opined on by the defendant accountant as a result of an engagement to provide public accounting services. b. Six years after the service for which the suit is brought has been performed or the date of the initial issuance of the accountant's report on the financial statements or other information, whichever comes first.